Rain43 caps year of growth with new look, new clients. 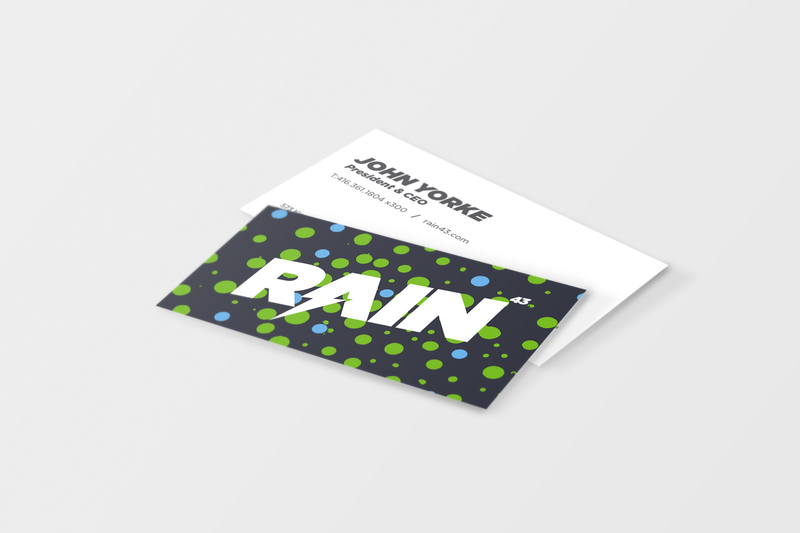 Rain43 is concluding a transformational 12 months highlighted by a series of senior hires, key account wins, and a brand repositioning that underscores its commitment to providing strategic direction and growth for clients and employees alike. “As the pace of our business continues to accelerate, our new hires strengthen our ability to be strategic and responsive with a focus on driving growth for our clients. 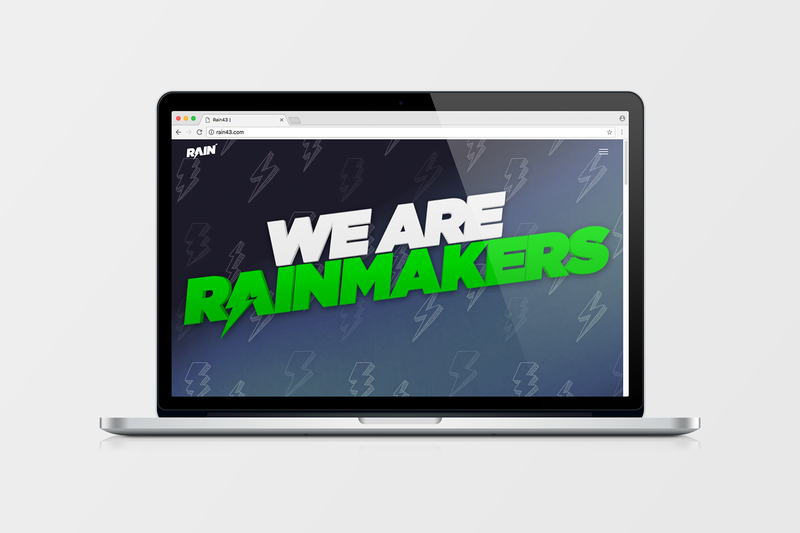 We are Rainmakers after all,” says Managing Partner Kevin Pfuhl. 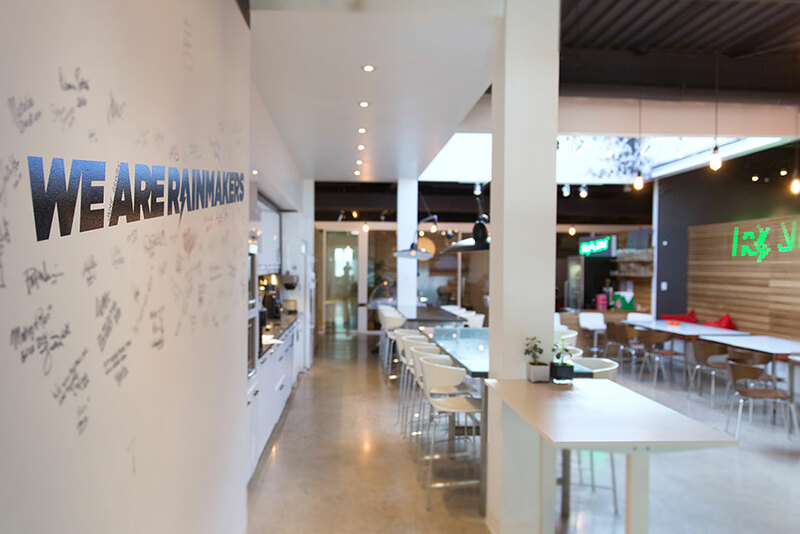 Among several key additions to the Toronto agency’s team of ‘Rainmakers’ is Christine McNab in the role of General Manager. 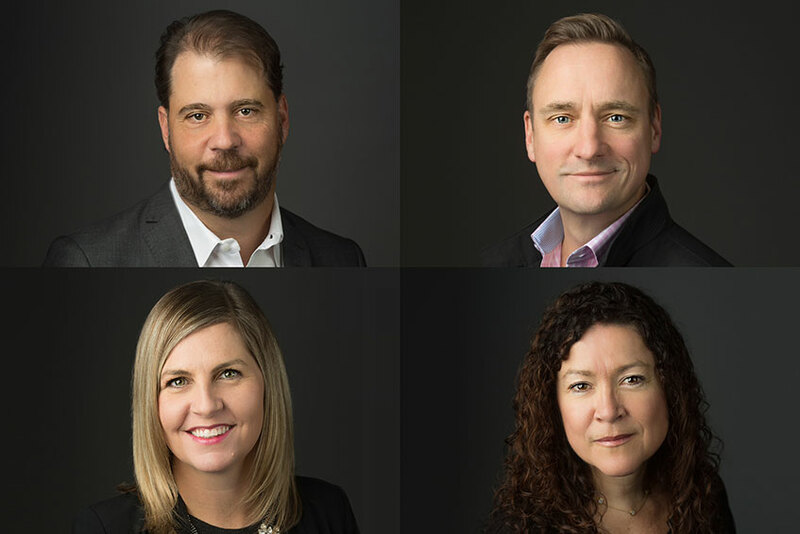 McNab, who arrived at Rain43 from Publicis Groupe, is one of several women rounding out the agency’s senior leadership team. She has worked with major brands including Rogers, ConAgra, Kraft, and Nestlé. 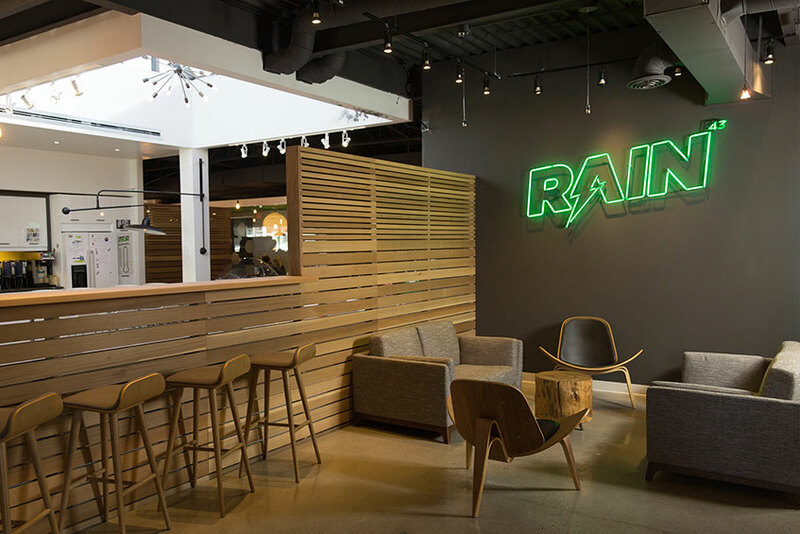 “One of my mandates at Rain43 was to find best-in-class talent to take us to the next level in terms of customer service and quality of work,” says McNab. The agency has also further bolstered its content credentials by hiring Camielle Clark as VP, Integrated Production and Resourcing. 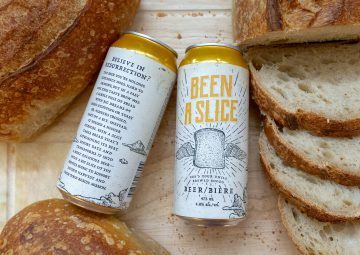 An award-winning documentary producer, Clark has previously worked in production roles with Edelman Canada, Grey Canada and JWT Canada, and contributes production and digital expertise to a client roster that values speed-to-market. The hires follow a series of new account wins that include Freedom Mobile (for which Rain43 in collaboration with BBR Toronto developed the new “Big Gig” brand platform and iPhone launch), as well as the leisure travel portion of the Carlson Wagonlit Travel business, and various Government of Ontario assignments. 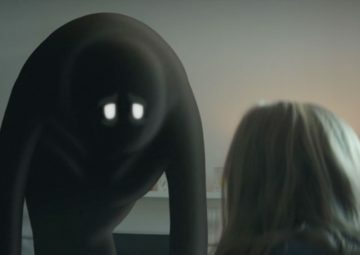 They join an existing client roster that includes Save on Energy, Sentry Investments and the Ontario Toyota Dealers – for whom Rain43 recently developed and launched a new television campaign dramatizing how people can reclaim the feeling of freedom, thrill and exhilaration safely with a new Toyota. 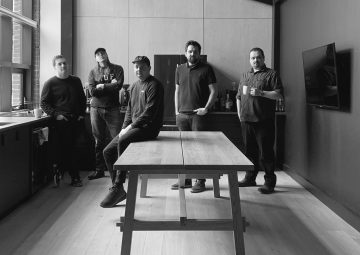 The agency is celebrating its transformative year with a top-to-bottom rebrand that includes a revamped website showcasing its new visual identity, and a newly renovated office space. It has also taken to steps to maintain its staff’s efficiency and speed-to-market capabilities with the development of a new coaching and managing program that eliminates yearly performance reviews in favour of continuous feedback. To ensure that expedience doesn’t come at the cost of the staff’s happiness and well-being, Rain43 has also introduced an unlimited vacation program that includes a mandatory vacation minimum. “We work hard, we work fast and do great work, but we also take really good care of our people,” says McNab.